The question of who really rules us, and what they are up to, matters more than ever. Today, at the heart of our democracy, lurks an all-powerful network of people. They are unaccountable and unchallenged. They are making huge profits at our expense. They are the Establishment. Lifting the lid on this shadowy and labyrinthine system that dominated our lives, Owen Jones sets out on a journey into the depths of the Establishment. From off-the-record chats in the lobbies and back streets of westminster, to posh lunches with bankers and boardroom meetings in towering corporate headquarters, he explores the centres of Establishment power and encounters some of its leading figures. 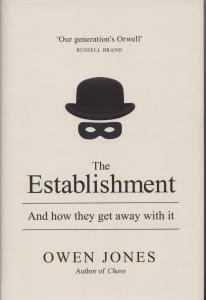 In doing so, he reveals how today’s Establishment is bound together by a common mentality, a set of ideas that helps it rationalize and justify its behaviour, from the scandal of MP’s expenses, to private companies scrounging off the state, to the cosy connections between accountancy firms and tax authorities. He shows too how, with no meaningful opposition in its path, the Establishment is amassing wealth and power in a way that has no precedent in modern times. 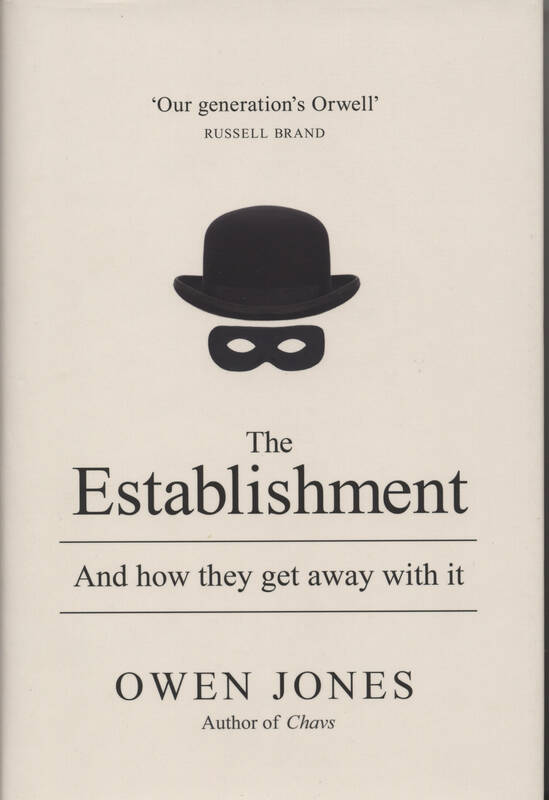 Going through the revolving doors that link these worlds, and exposing the vested interests that bind them together, Jones shows how, in claiming to work on our behalf, the people at the top are doing precisely the opposite. In fact, they represent the biggest threat to our democracy today – and it is time they were challenged. It is, he urges, up to us to do so. NOTE: From the oppressive climate of the industrial revolution, of raw capitalism and the taking and enclosing of common land, people fought back. They organised co-operatives and trade unions and gained representation in Parliament and Local Authorities. It was social action in a culture of community and against enormous private vested interests. But by the mid twentieth century so much had been achieved. Co-operative business formed a substantial party of the economy. Transport, the utilities and parts of industry were collectively owned for the benefit of the public and not for private profit. There was a national health service, security of employment and safeguards against poverty and destitution. This has now all been lost. But it was won once, it can be won again.